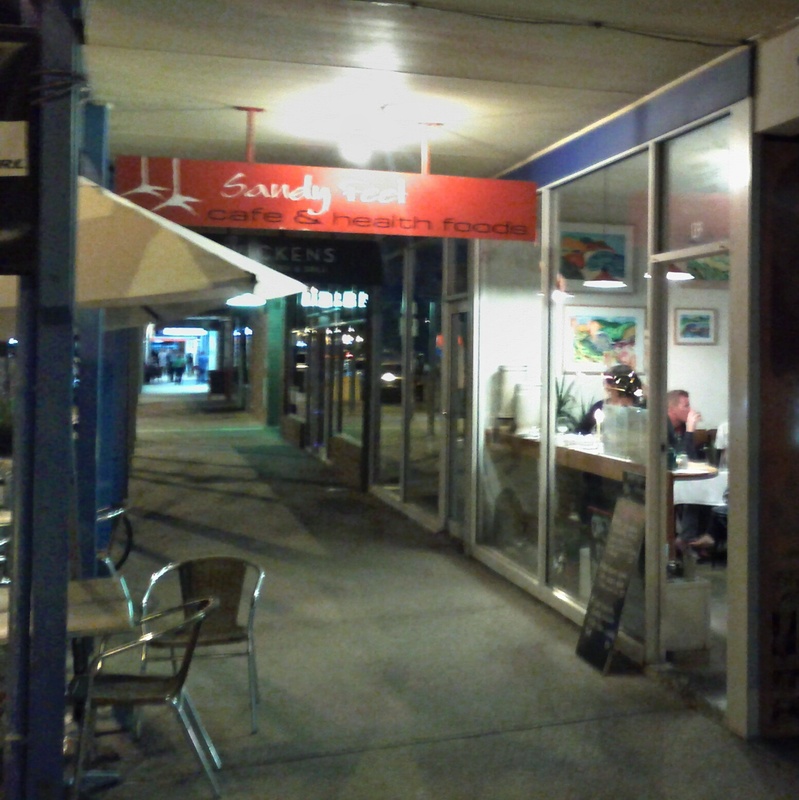 We hadn't dined at Sandy Feet before, although it seems to have been open for a while, on the main street through Apollo Bay, across from the foreshore area. 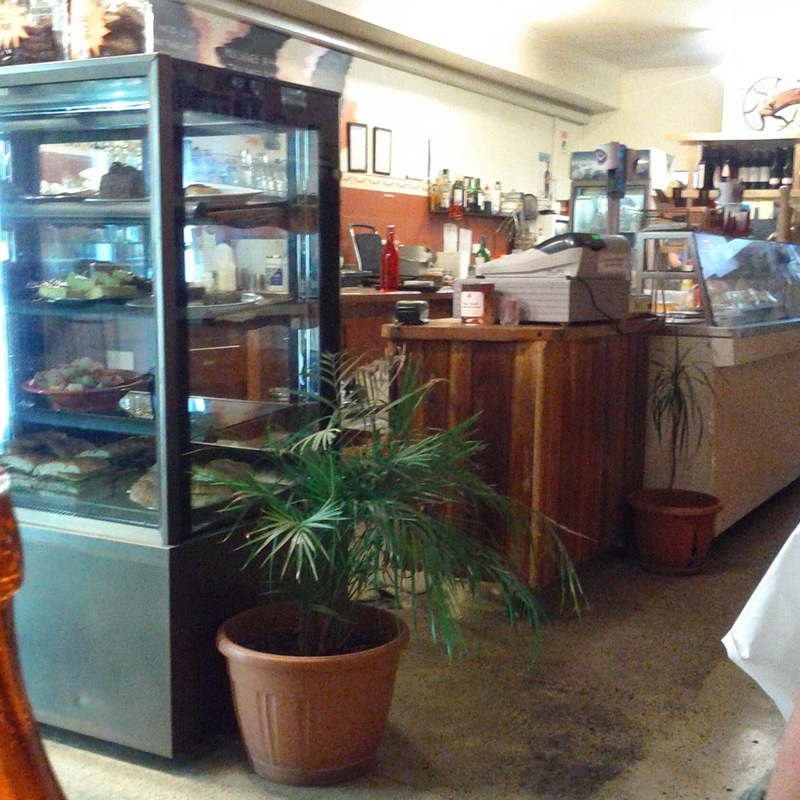 We visited over Easter and it was fairly busy inside but no diners were keen on eating outside. The decor was fairly basic style and it is billed as a cafe and health food venue, the walls have bare feet prints painted on appropriately. The menu had a variety of standard options, and a few different ones. 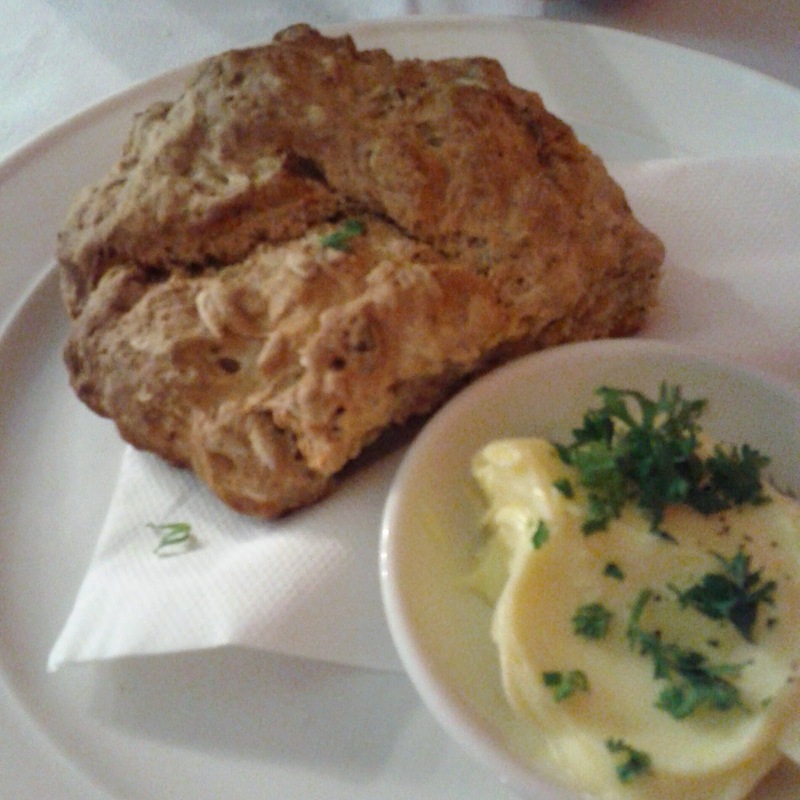 We shared the herbed damper with whipped butter to start, it was large, heavy and filling. 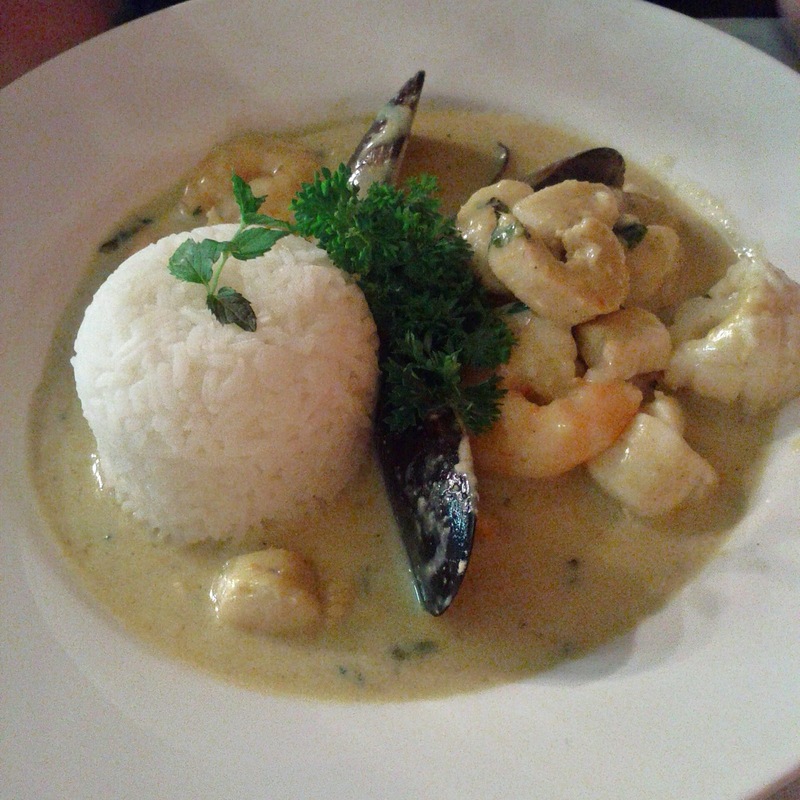 The special of green curry bouillabaisse with mussles, prawns, squid and scallops was super flavoursome with some great seafood. 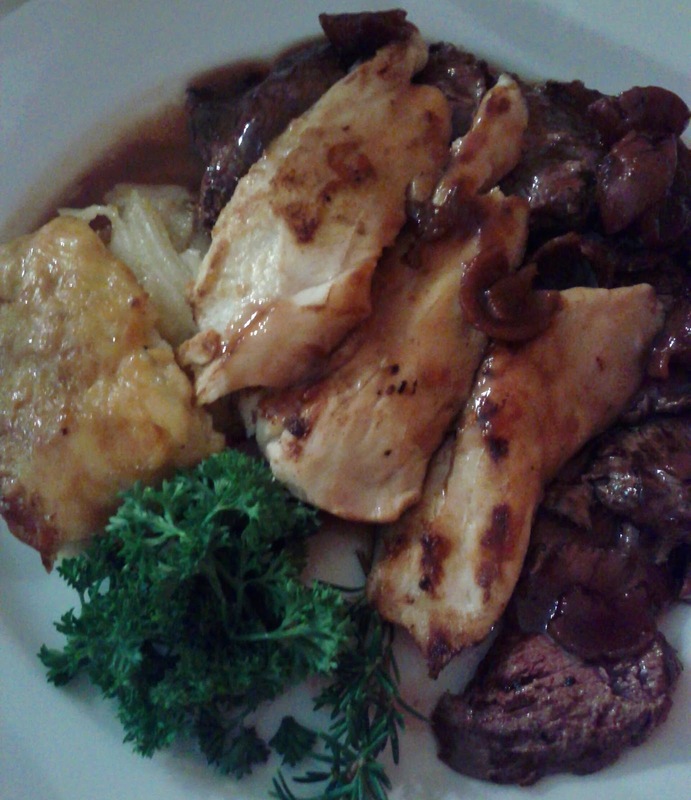 I had the Australian mixed grill featuring crocodile, which I'd only eaten in a sausage before, and resembled a cross between chicken and pork, emu which I had maybe had once before. The third element was kangaroo which is a favourite of mine, and again turned out to be my preferred of the three meats. I also had a local Forrest Brewery beer, which was well flavoured and easily quaffed. The service was friendly and well paced for a busy venue. I'd definitely go back when we are next in town.